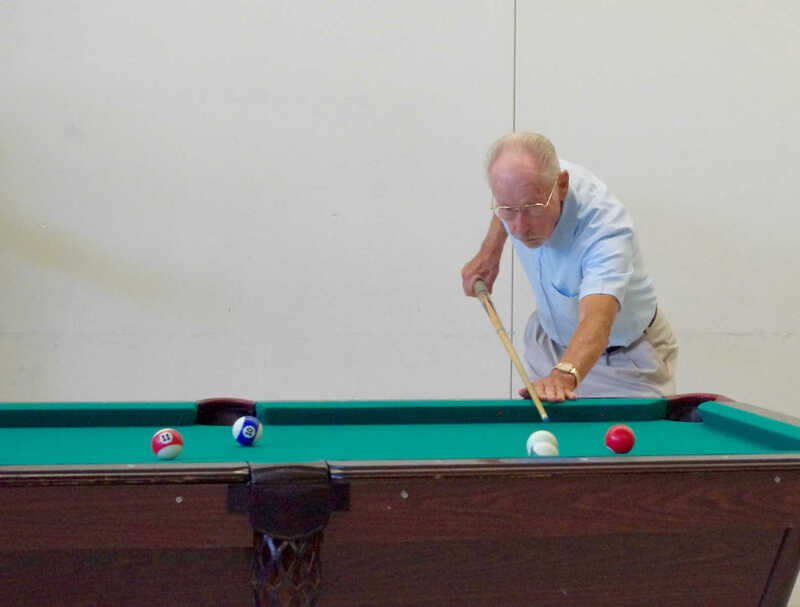 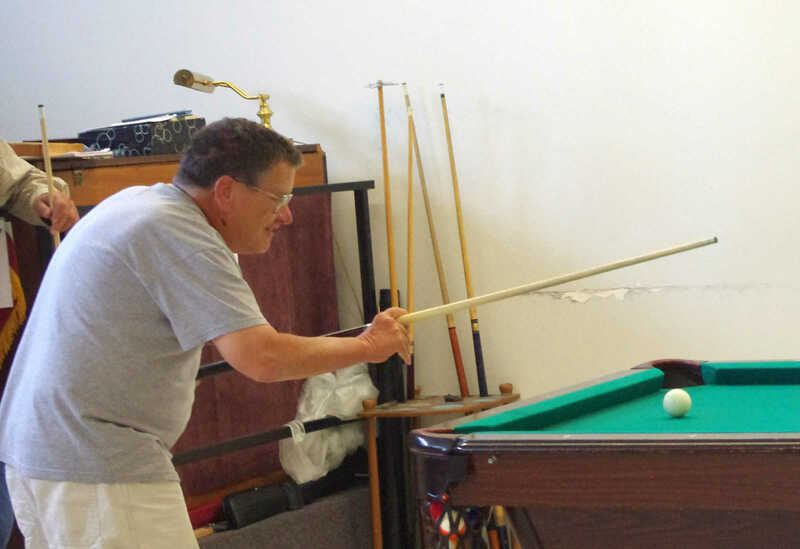 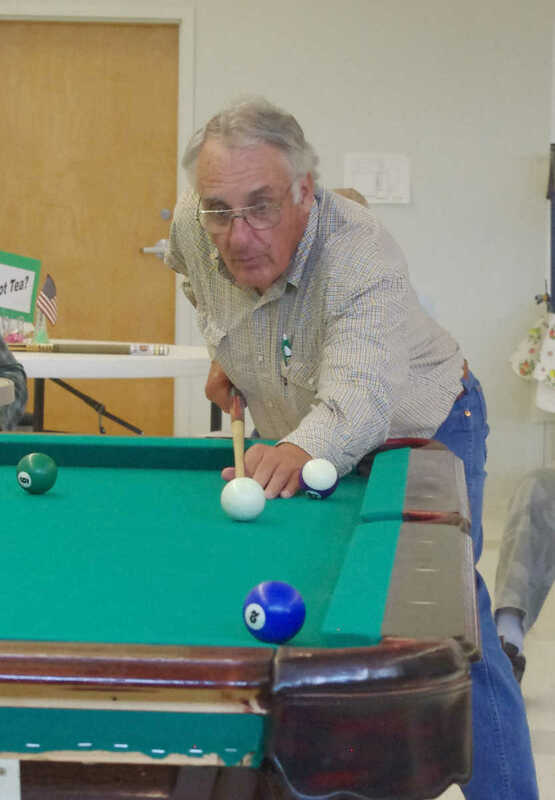 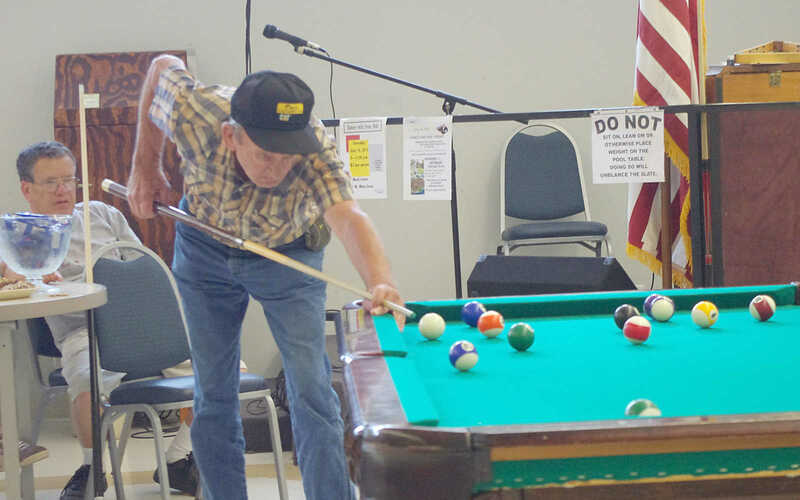 Nevada player Denny McKenzie lines up his shot in the first of what may be many challenge matches between players from the Vernon County Senior Center, Nevada, and their Cedar County counterparts, Stockton. 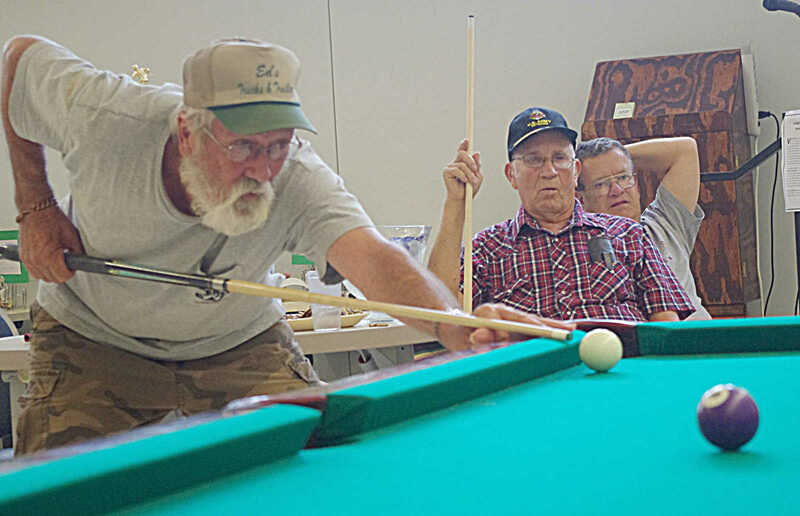 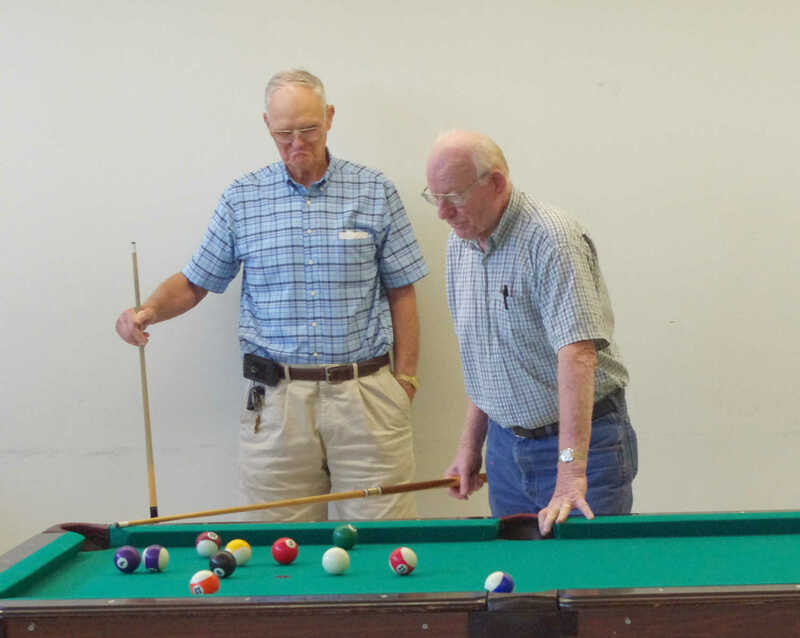 A traveling trophy's at stake, won by Stockton's team on Wednesday, at the Vernon County Senior Center. 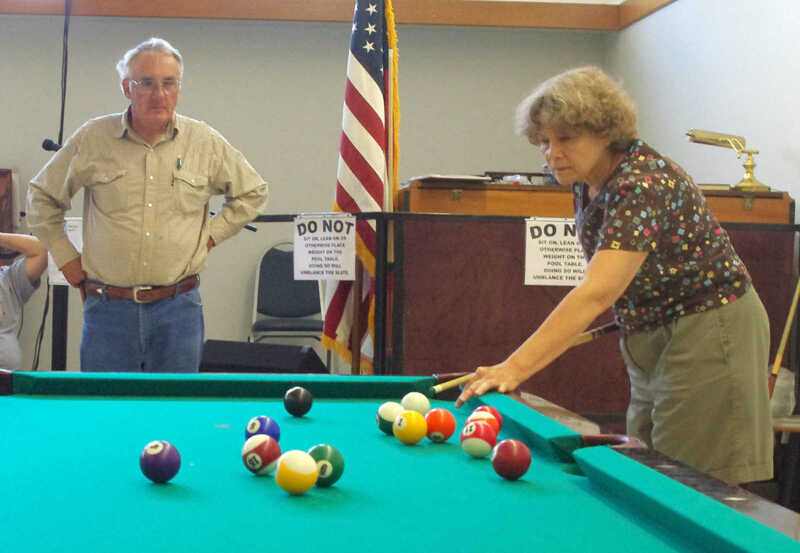 Nevadans aim to get it back Ñ there'll be a rematch planned in the future.